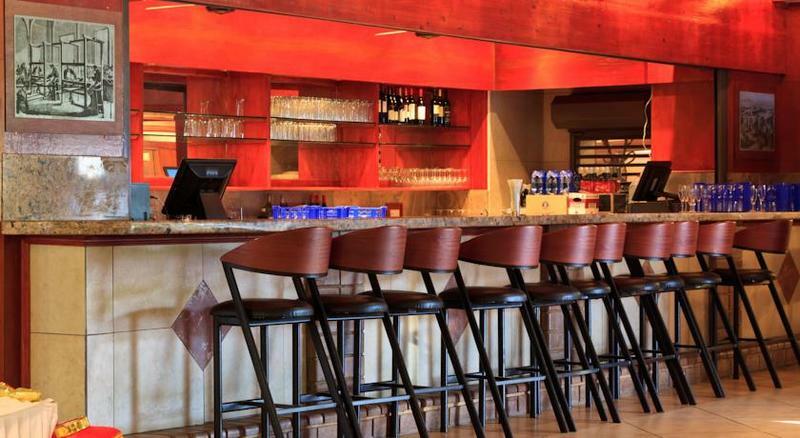 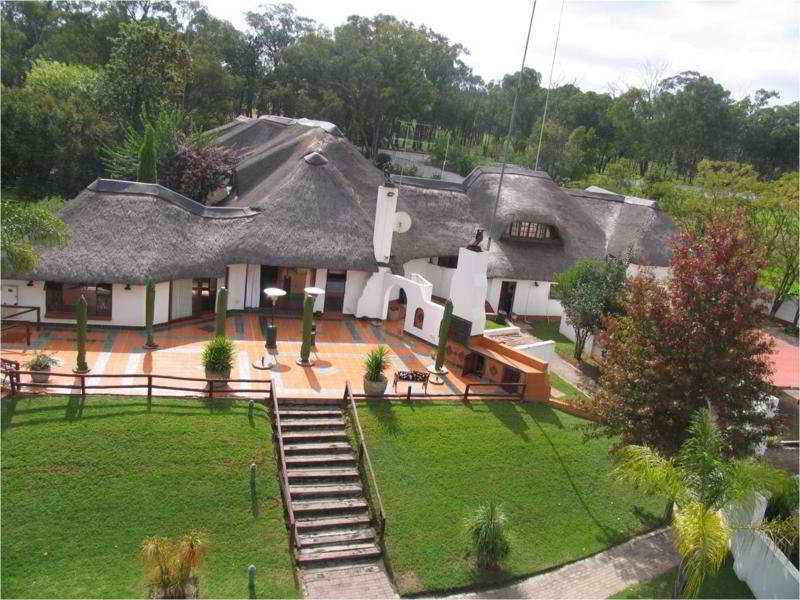 The country house is located in Chartwell near to Fourways Mall. 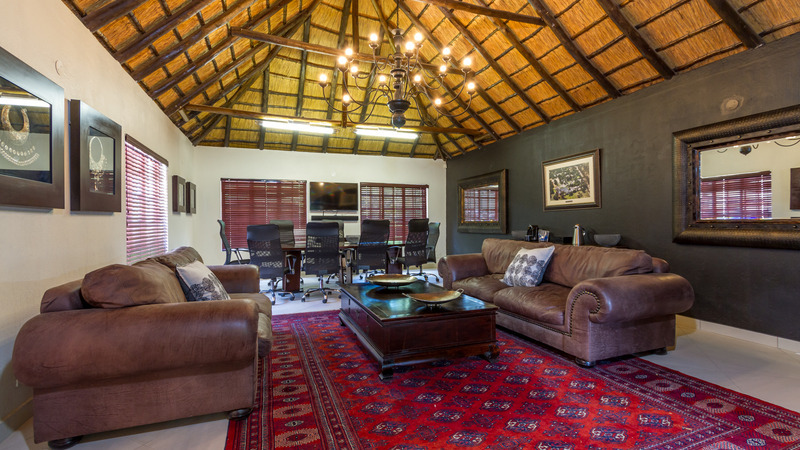 It is around 10 km north of Johannesburg, offering businesses and overseas visitors to Johannesburg a secure and comfortable base, surrounded by warm hospitality. 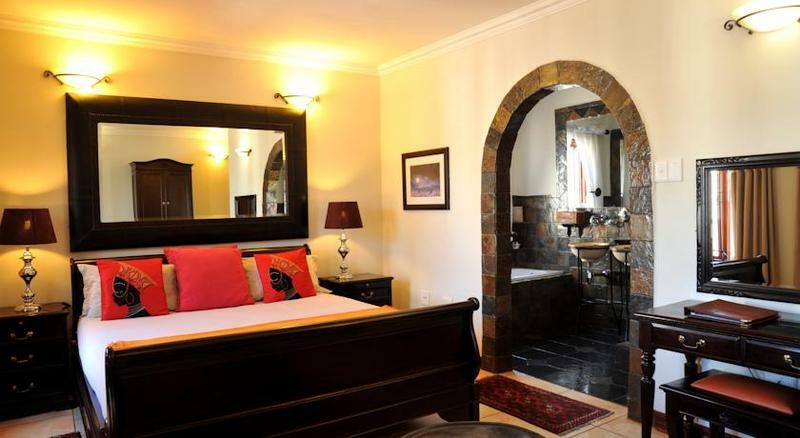 Nelson Mandela Square is roughly 5 km from the hotel, Lion Park is a 10-minute drive, and the shops of Montecasino are around 8.4 km away. 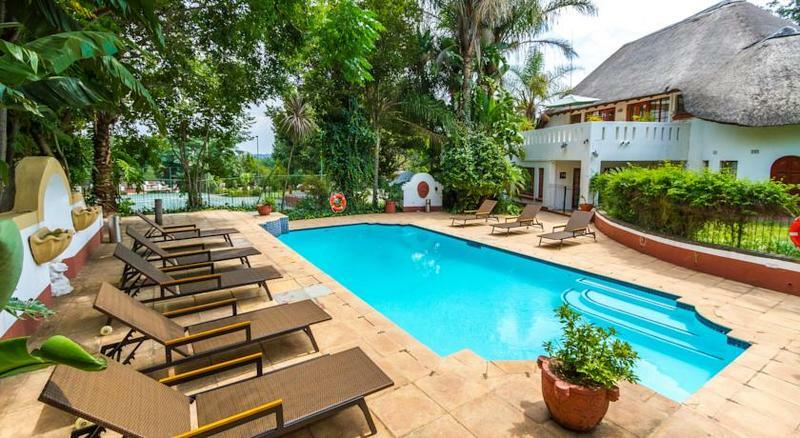 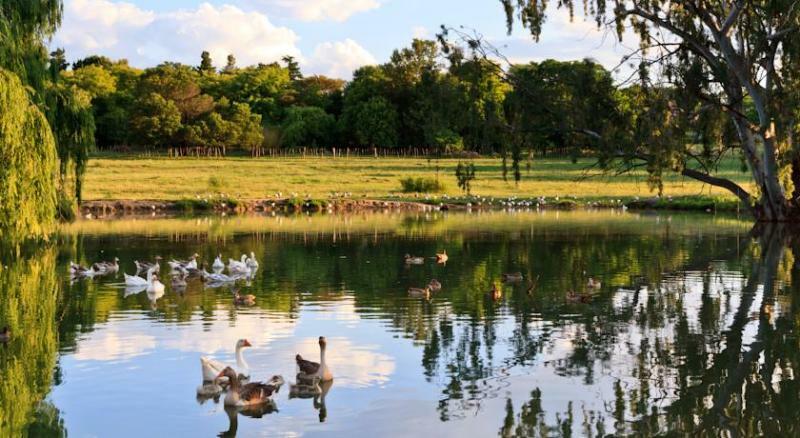 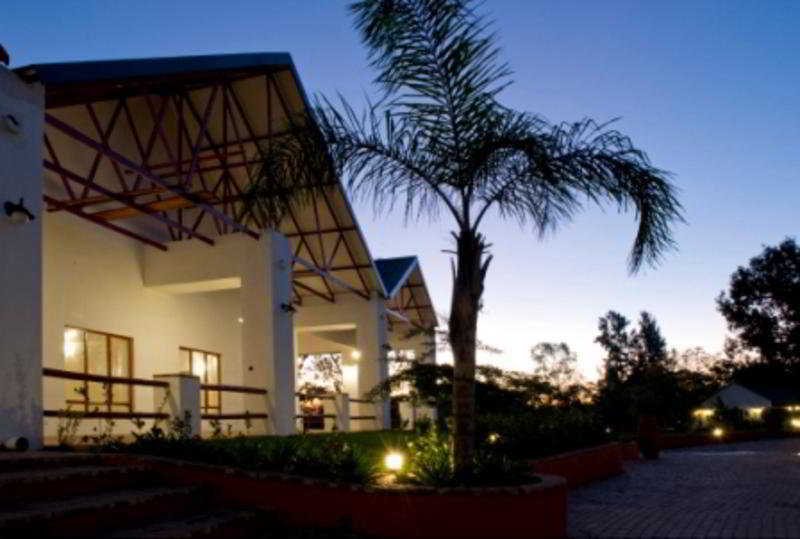 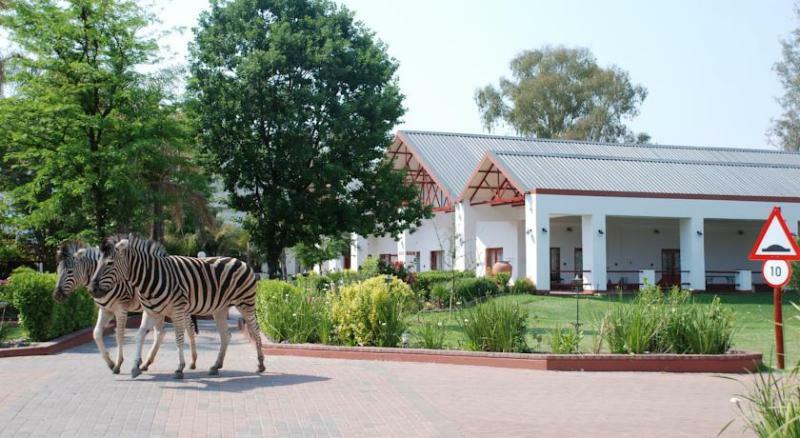 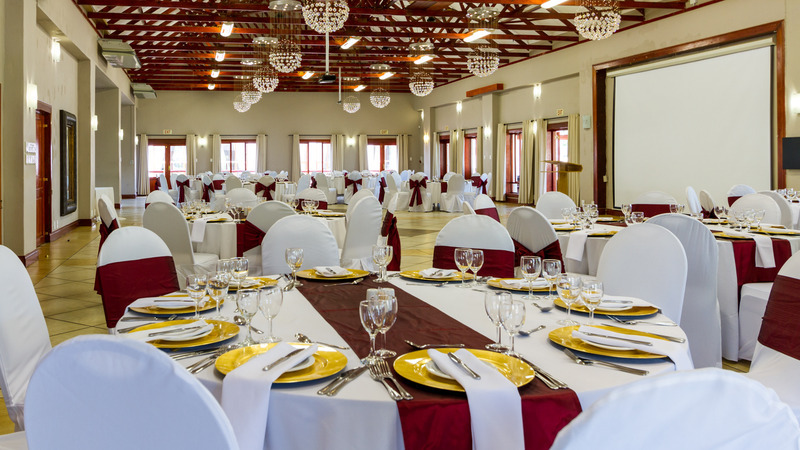 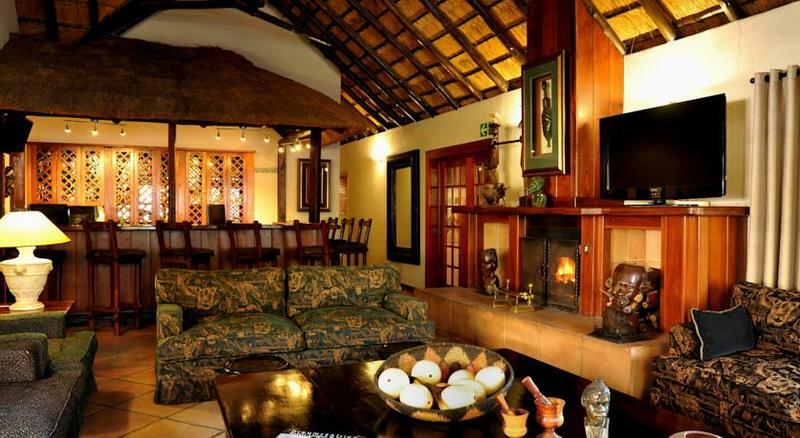 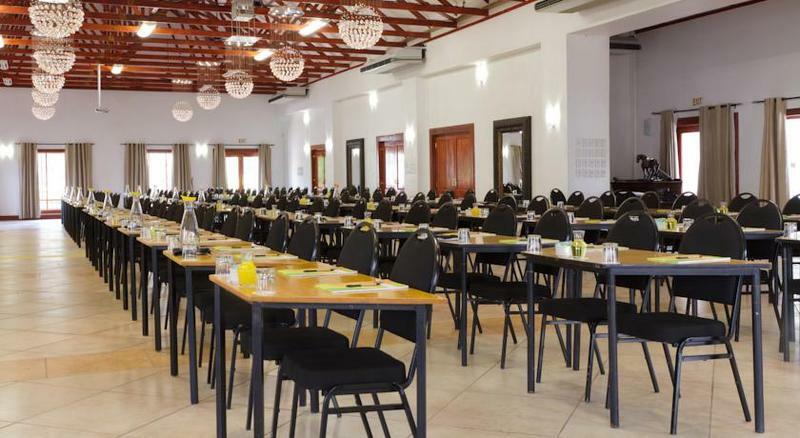 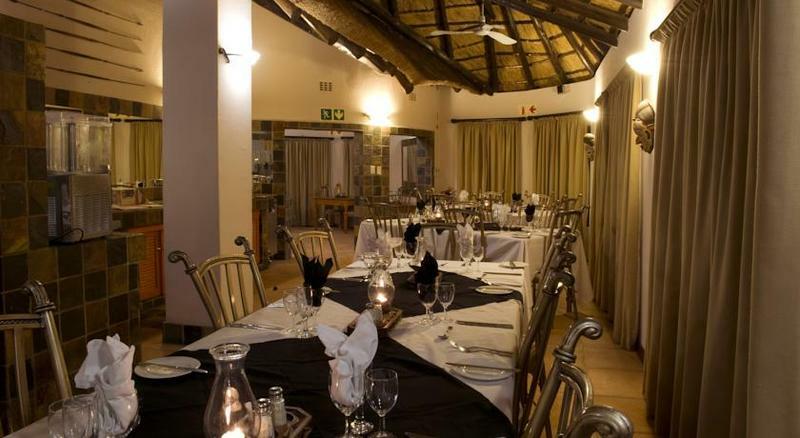 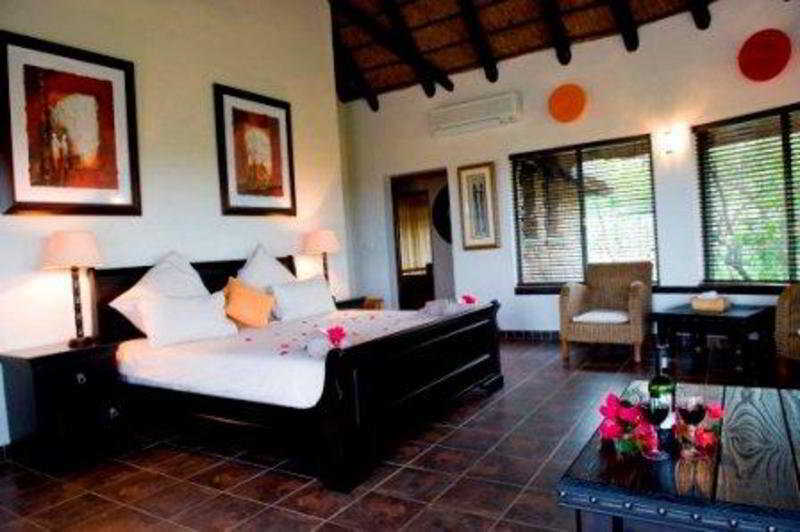 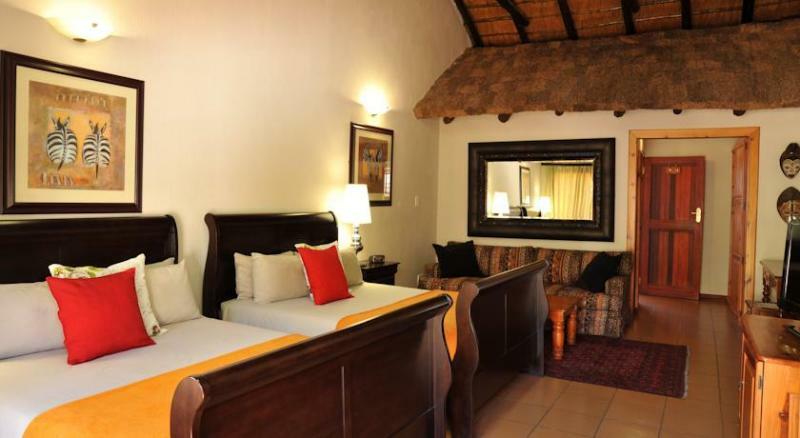 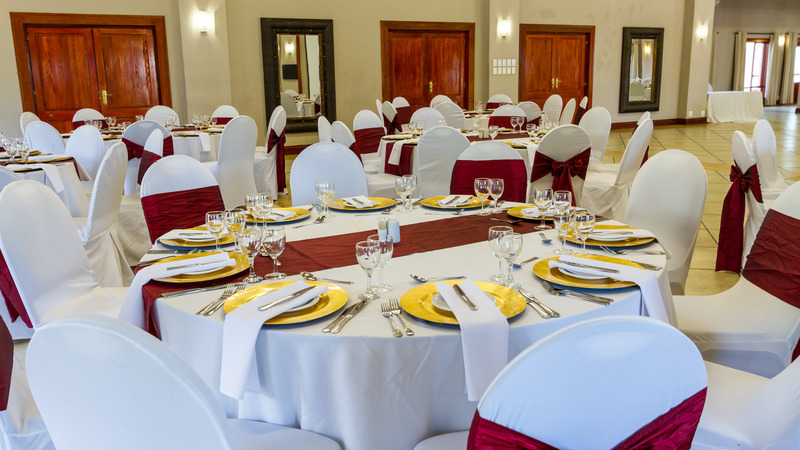 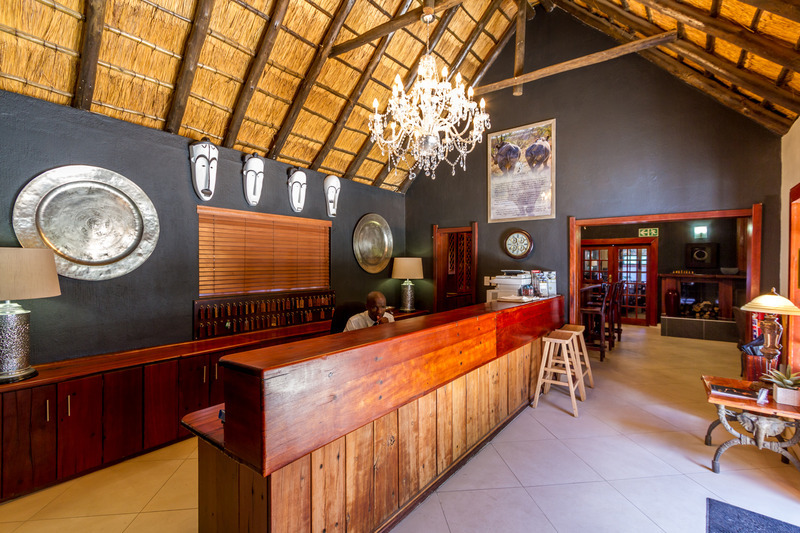 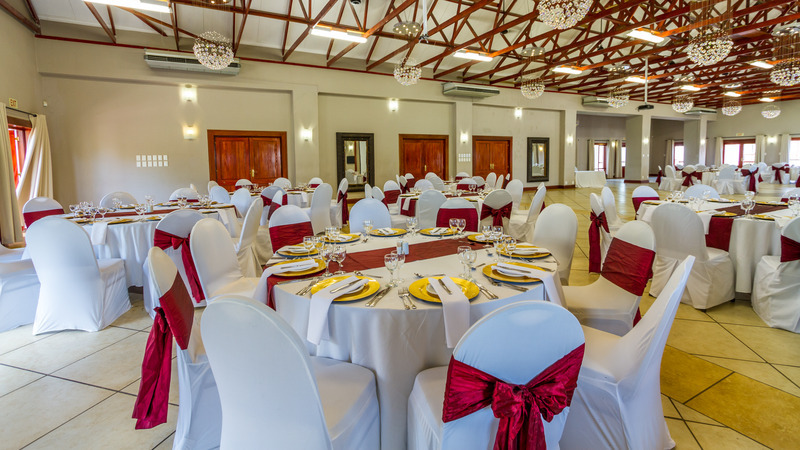 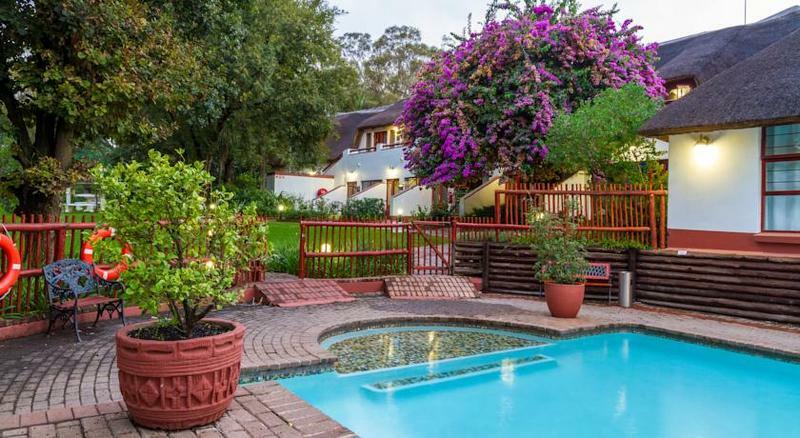 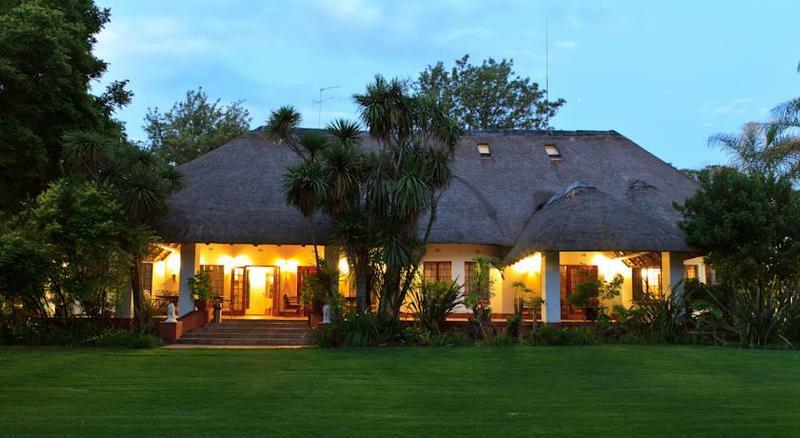 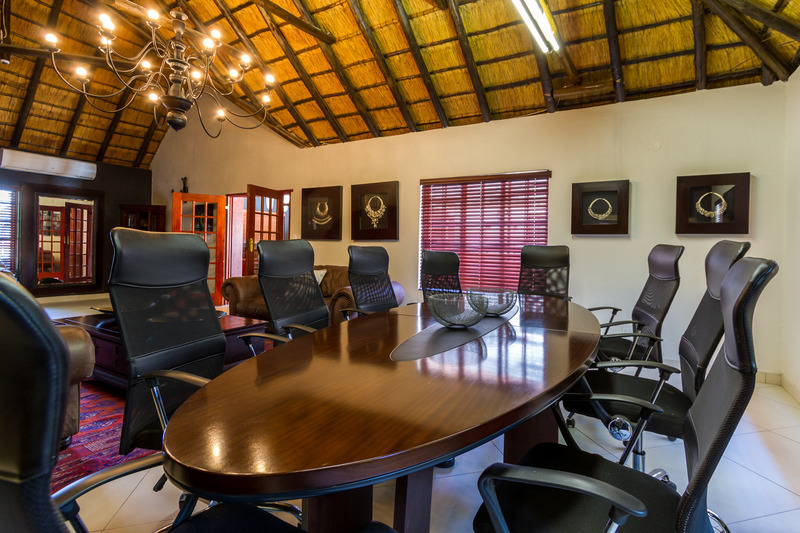 Oliver Reginald Tambo International Airport is approximately 40 km from the hotel.||Set within 5.2 hectares of beautifully landscaped gardens in peaceful surroundings, the hotel is a spacious thatched estate, offering top-quality services and 49 affordable accommodation units. 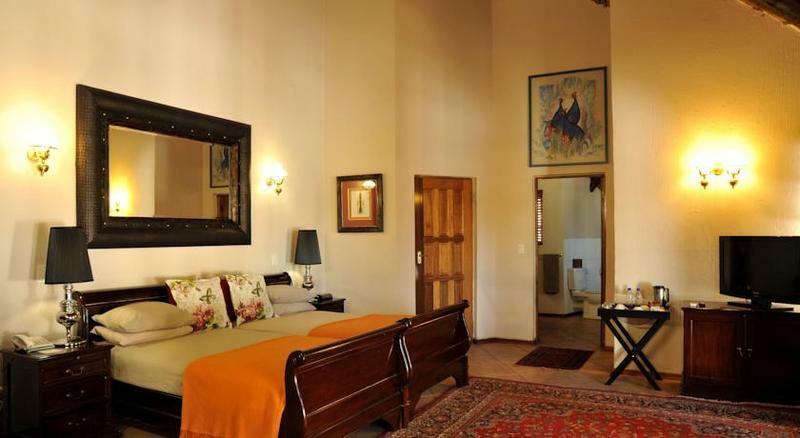 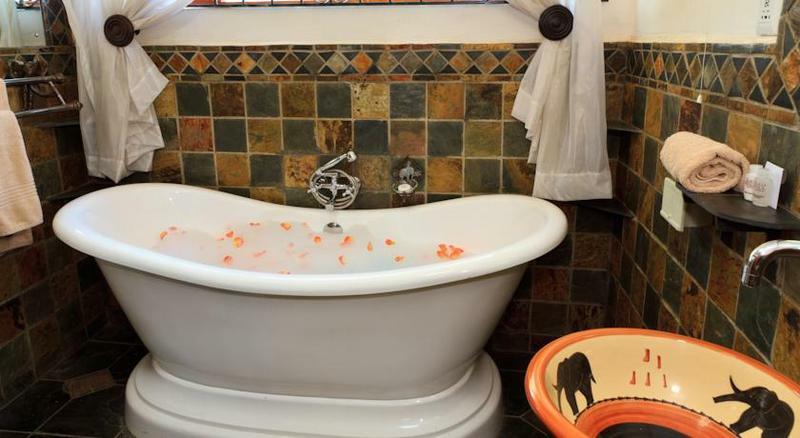 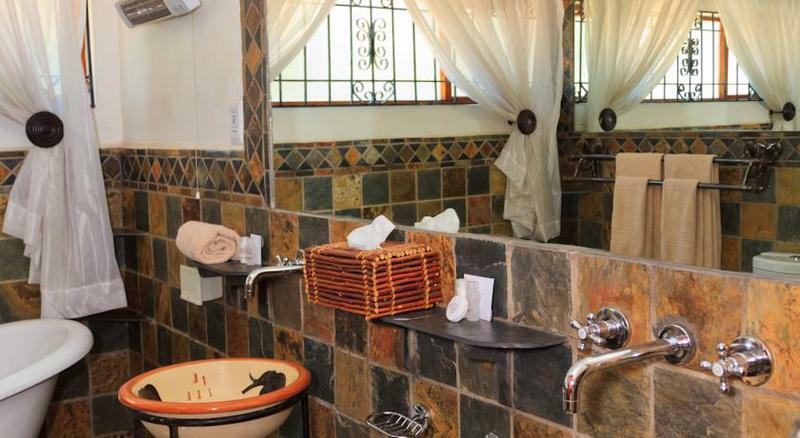 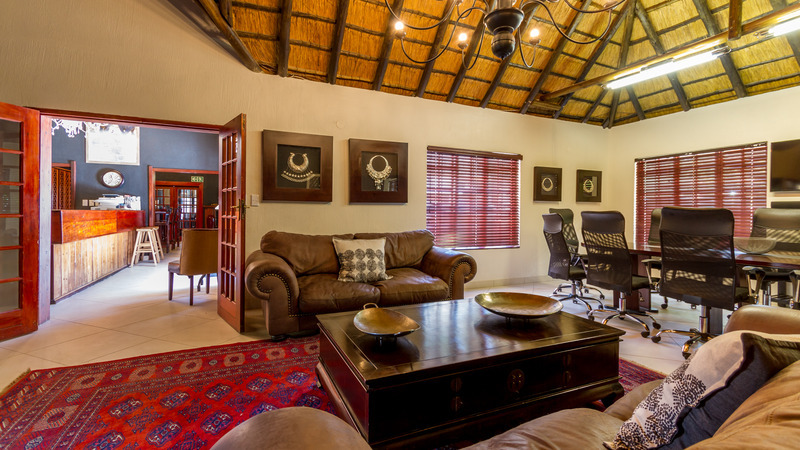 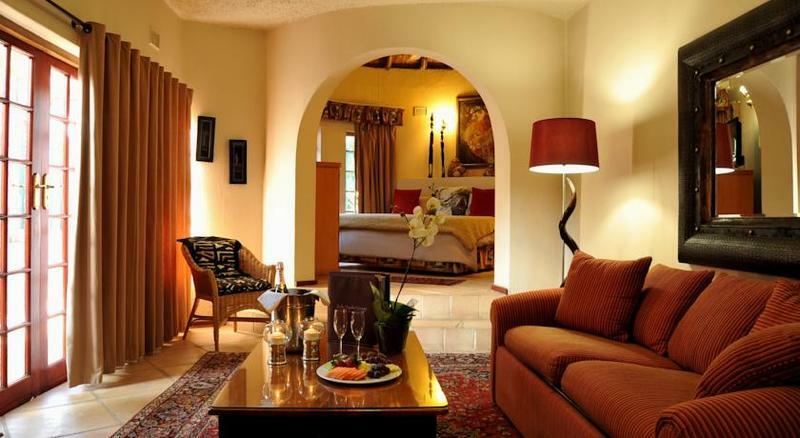 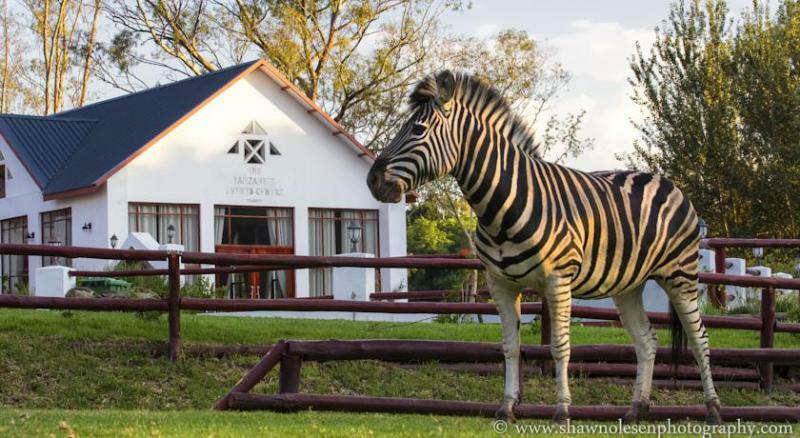 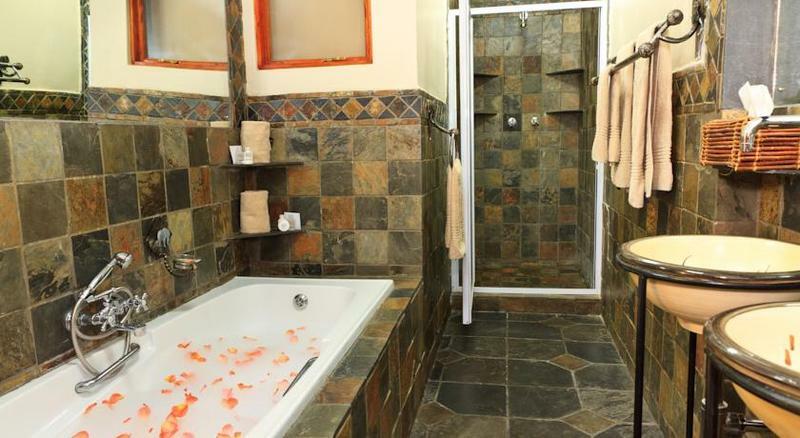 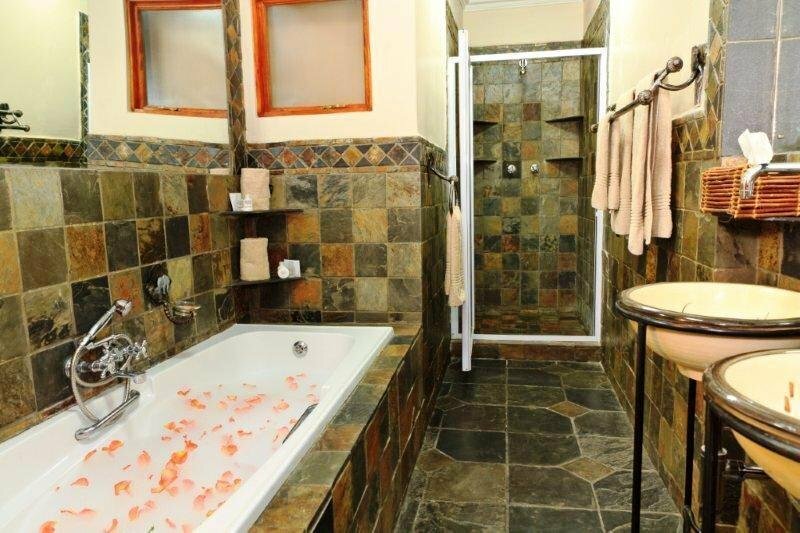 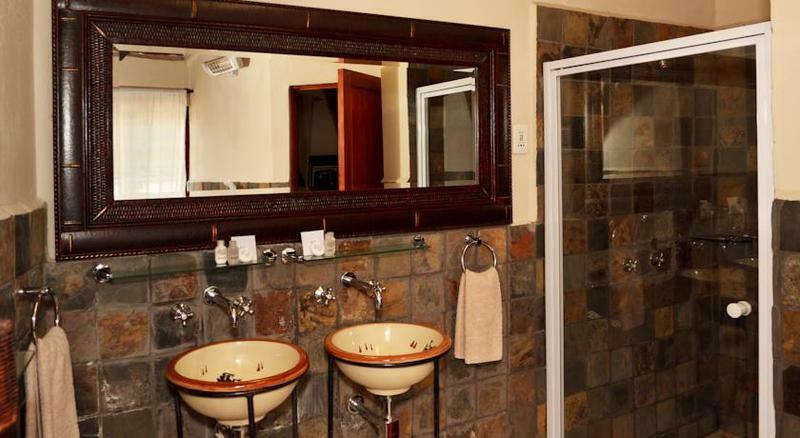 Facilities available to guests at the estate include a lobby, TV lounge, bar, restaurant and conference facilities.||The estate offers luxurious guest rooms, each of which features an en suite bathroom with bathtub, shower, WC, hairdryer and electric shaver plug. 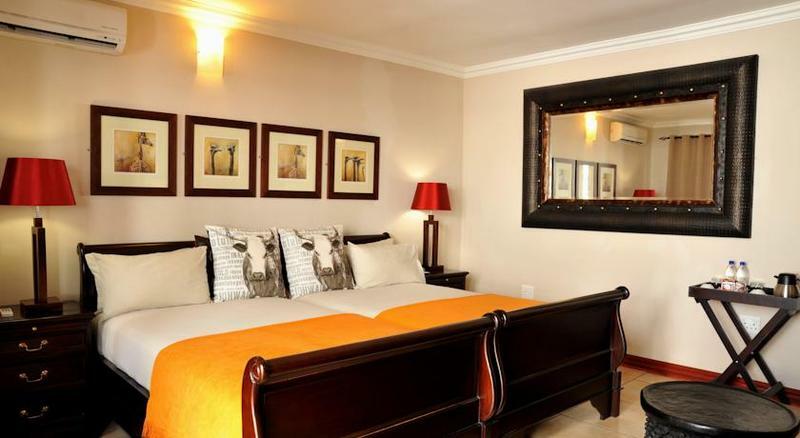 Further in-room amenities include a direct dial telephone, tea and coffee making facilities, and ceiling fans.||There are two outdoor swimming pools on the premises.||The relaxed and elegant restaurant offers buffet breakfasts and other meals on request.||Follow Cedar Road from Fourways Mall past Broadacres Mall. 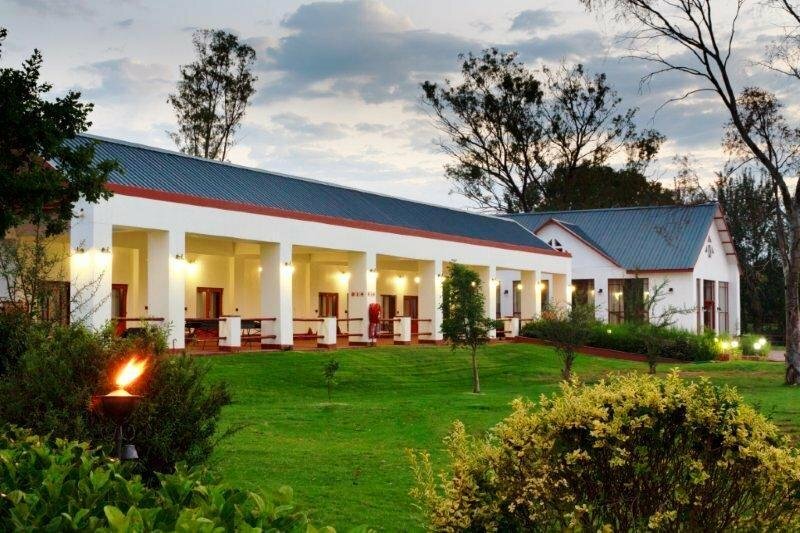 Turn left into the third road at the first set of traffic lights after Broadacres. 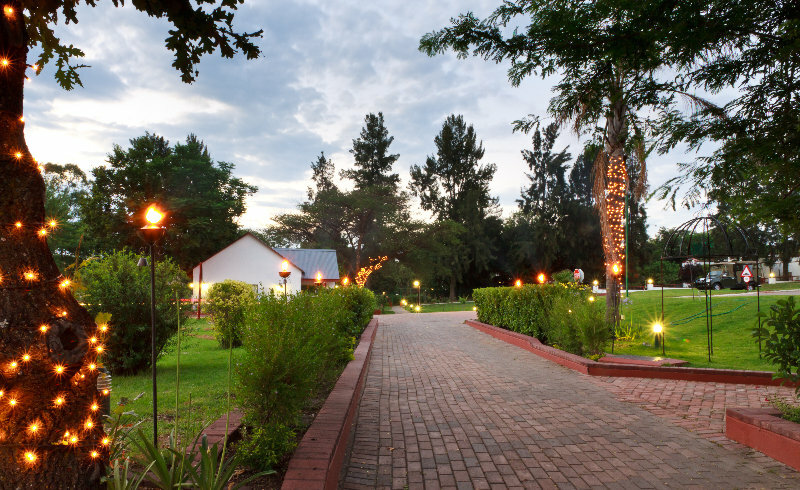 Proceed through the four-way stop point and the country manor is 300 metres down the road on the left.